World Design Consortium is interested in design of Boots, Sandals, Shoes, Slippers, High-Heels, Galoshes, Waders, High-Tops, Mules and similar projects for interested parties. Please kindly contact WDC for Footwear, Shoes and Boots Design Award consultancy, tenders, jobs, offers and requests. Below, displaying an award winning project by SG/18505608. Atossa started as an idea for redesigning industrial and social systems that deliver the products to people. This project is focused on developing a range of design concepts for printable footwear. The idea is to build a consumer based system which reduces labor for manufacturing, provides ease of access to new products for consumers and considers new types of customization. By developing a range of stylish footwear design concepts, the production process would speed up, the costs of production would be reduced and eventually users would have footwear according to their foot’s unique feature. If you wish to have a very good 3d printed footwear design, please contact our secretariat and indicate that you wish to work with SG/18505608 for your 3d printed footwear project. We will process your request immediately and forward your requirements to SG/18505608. 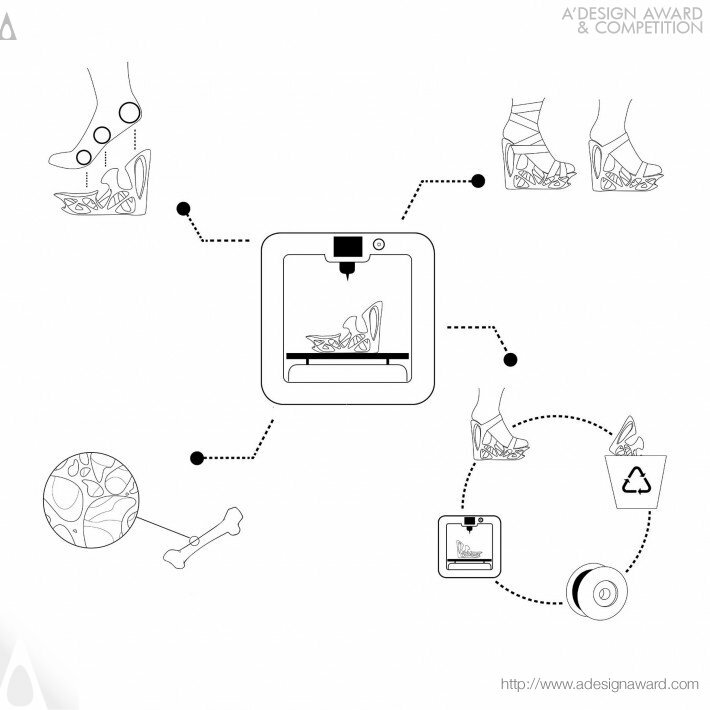 Request Consultancy for 3d printed footwear design by SG/18505608.